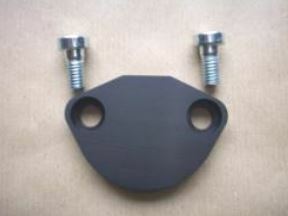 Type 1 Fuel pump cover block off plate kit. Precision Machined high-strength aluminium. Anodised black or silver. Worldwide shipping no problem. UK £4, Europe airmail £6, Worldwide airmail £8. Tracking is additional £5 on above prices.